Home is tastefully decorated & MOVE-IN ready!! ! MLS#21627571. Keller Williams Indy Metro S.
HVAC & water heater replaced in 2015, great room & hall floor 2019. MLS#21627996. ERA Real Estate Links. Austin Trace - Lots of updates: all story with new sinks and faucets, new paint, water heater and water softener 2019, new HVAC system 2017, new roof in 2014. A must see in McCordsville! MLS#21626140. Carpenter, REALTORS®. Geist Woods Estates - Backyard offers complete privacy, pool, cabana / entertainment area, and fire pit. Hurry! MLS#21627211. Armstrong Real Estate Brokerag. Villages At Brookside - Upstairs you will find the 3rd bedroom with a full bathroom and HUGE loft. 2 bay side load garage. MLS#21627319. HMS Real Estate, LLC. Wood Haven - 2nd floor laundry and large loft. Expanded 2 car garage. MLS#21627325. HMS Real Estate, LLC. Westbrooke At Geist McCordsville - Brand new roof being installed as soon as weather allows. Come visit today! MLS#21627320. Berkshire Hathaway Home. Villages At Brookside - Easy access to I69 and I70! MLS#21626844. Keller Williams Indy Metro NE. Deer Crossing - Enjoy BBQs or unwind on your stone paver patio w/ pond view, fully fenced yard, 3 car garage & mini barn! MLS#21626610. CENTURY 21 Scheetz. Wood Haven - Excellent Woodhaven Neighborhood Amenities include a Community Park and Pool. MLS#21626496. 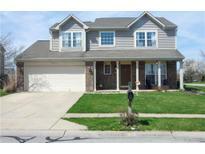 Keller Williams Indpls Metro N.
Timberstone Villas - Finished 2 car garage. MUST SEE! MLS#21626174. WardHolloway Real Property, LL. 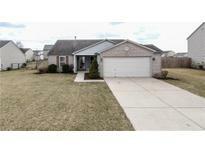 Wood Haven - Full basement and 2 bay side load garage. MLS#21626480. HMS Real Estate, LLC. Villages At Brookside - Top floor with 3 additional bedrooms that share a hall bathroom. Basement and 2 bay garage. MLS#21626508. HMS Real Estate, LLC. Wood Haven - Large loft and 2 car garage. MLS#21626569. HMS Real Estate, LLC. 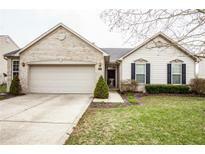 Gateway Crossing - Highly coveted McCordsville-Close to all that's Hot and Happening! WELCOME HOME! ! MLS#21626655. RE/MAX Legends Group. 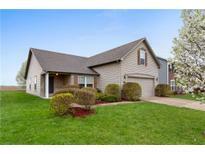 Springs Of Cambridge McCordsville - Close to Shopping, Dining. Community Activities. TRULY REMARKABLE! MLS#21625620. RE/MAX Realty Services. Ambria - Walk to Bee Camp Creek Trailhead for trails & park. MLS#21623823. F.C. Tucker Company. Wood Haven - This is a must see and will not last long! MLS#21625658. Coldwell Banker - Kaiser. Deer Crossing - Recently painted and move in condition. MLS#21625875. F.C. Tucker Company. Austin Trace - New paint and upgrades throughout the property. MLS#21625380. F.C. Tucker Company. Westbrooke At Geist McCordsville - Close to Geist, shopping, and dining. MLS#21625580. United Real Estate Indpls. Highland Springs - The Geothermal Saves A Lot Electricity Bills. Elementary And Fishers Schools! MLS#21622135. Carpenter, REALTORS®. 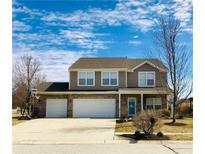 Springs Of Cambridge McCordsville - Home is currently under construction and buyer can make some selections. MLS#21617266. Lakeridge Realty, LLC. Timberstone Villas - Beautiful lot with irrigation system, pond view, hoa takes care of mowing, landscaping, and snow removal. MLS#21622096. F.C. Tucker Company.